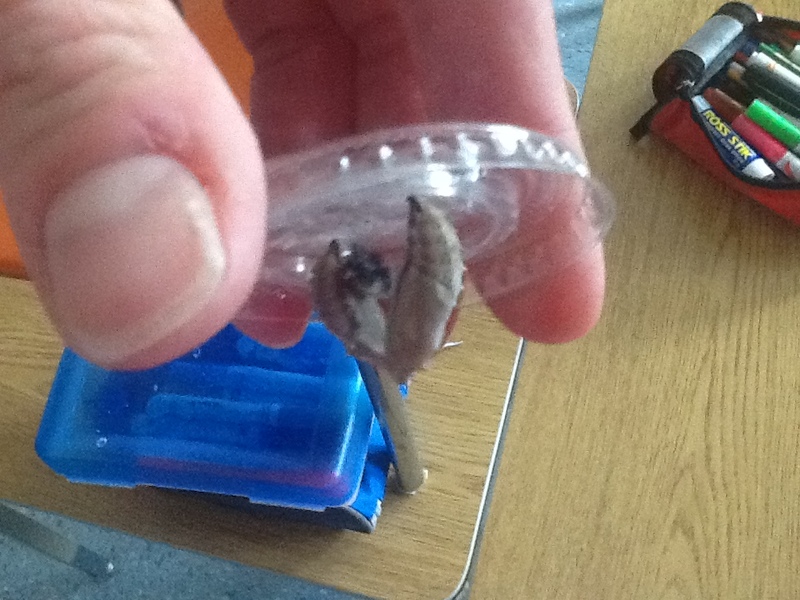 We were so excited today to see that our caterpillar larvae have formed their chrysalis! We have been observing our larvae now for over a week. The chrysalis looks hard and it also has some shiny parts to it. We think this might be the butterfly wings? We also noticed there are black bits of something in their containers which look like little pieces of their bodies. We don’t know what it is. Mrs. Cassell told us we will have a chance to ask a butterfly expert when we video conference with the butterfly conservatory. 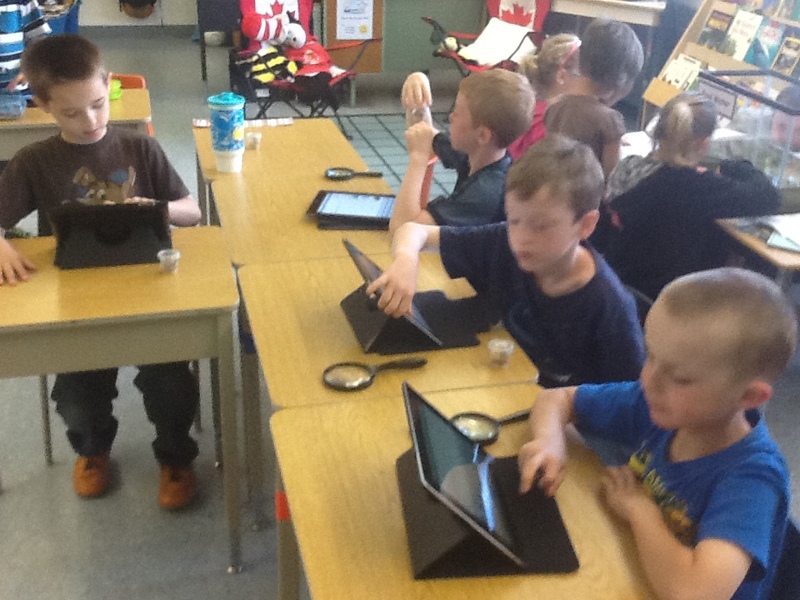 Tomorrow we will be using an app called PebbleGo to begin researching about the Painted Lady Butterfly. 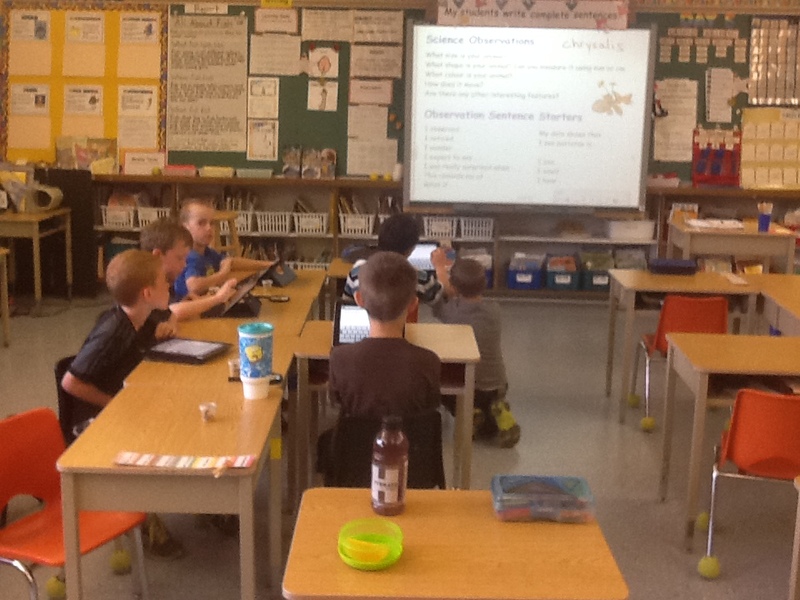 Grade 2/3 are learning about caterpillars too. Today, one of our chrysalises has been moving all day. Check out our blog to see what’s happening. Our blog is called 2/3 Tiger Talk.